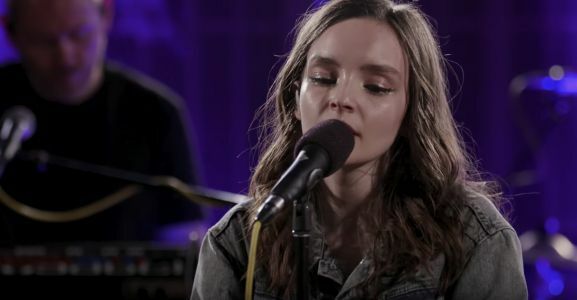 CHVRCHES ' latest album, Love is Dead , is heavy on pop structures, so it makes sense that their recent spate of high-profile covers have found them tackling songs like Beyoncé's “XO” , Rihanna's “Stay” , and The 1975's “Somebody Else”. Now, the Scottish three-piece is veering into another genre by bringing a cover of Kendrick Lamar 's DAMN. standout “LOVE.” to triple j's Like A Version . Chvrches provided the ultimate synth pop/rap crossover with their latest cover, Kendrick Lamar's "LOVE."